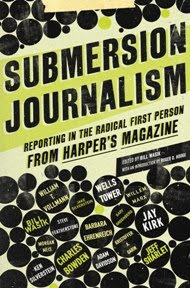 A smart, psychic publicist at The New Press sent me a review copy of Submersion Journalism: Reporting in the Radical First Person from Harper’s Magazine edited by Bill Wasik as she thought I might want to blog about it. She was right; investigative reporters are my heroes. I can’t wait to read it. But first I need to finish Shark’s Fin and Sichuan Pepper: A Sweet-Sour Memoir of Eating in China by Fuchsia Dunlop and I Feel Earthquakes More Often Than They Happen: Coming to California in the Age of Schwarzenegger by Amy Wilentz. And before that, I need to make dinner. 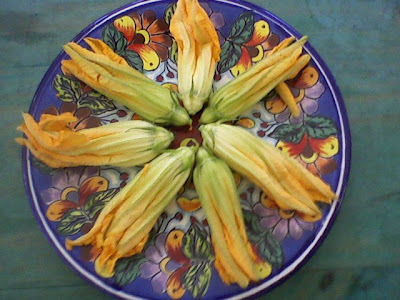 There were squash blossoms at the farmers’ market, so I’m thinking squash blossom quesadillas (minus the epazote and made with cheddar rather than queso blanco, but still: yum).